Is there a stream on your property? Are the stream banks eroding? Are you losing land? 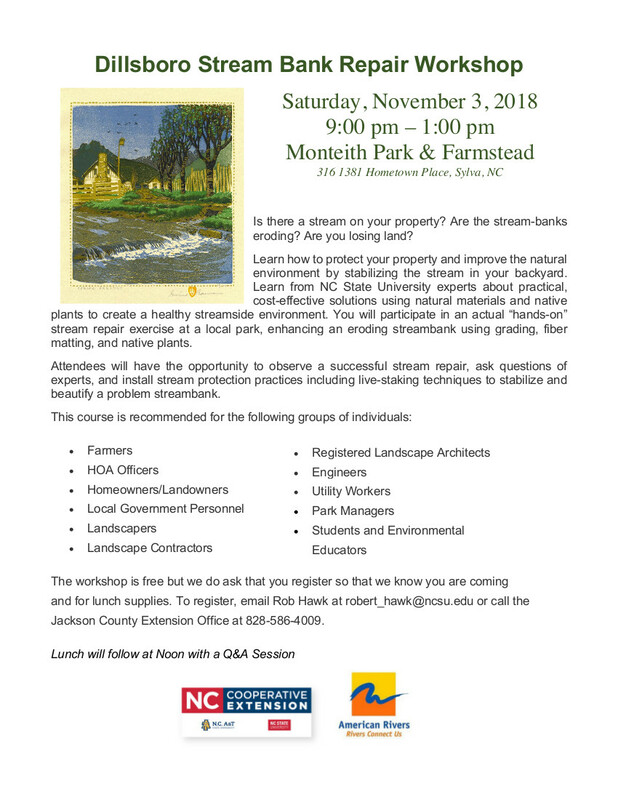 If so, learn how to protect your property and improve the natural environment by attending this important Stream Bank Repair Workshop. Contact Rob Hawk, Jackson County Extension Director at robert_hawk@ncsu.edu or call the N.C. Cooperative Extension of Jackson County office at 828-586-4009 for more information. • Can This Stream Be Saved?